NIST traceable pressure gauge, switch and transmitter calibrations to 0.025% up to 300 PSIG. Non traceable calibration to 0.25% up to 1000 PSIG. Attach pressure gauge, switch or transmitter to a diaphragm or annular seal using either direct mount or capillary. We can provide a custom NEMA 4X wall mount enclosure with meters pre-installed, wired and configured ready for installation and use. Single or multiple units. 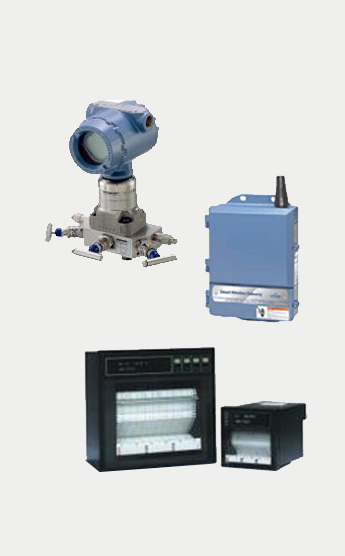 Using a variety of wireless options, we can provide a complete wireless system, including sensors, wireless transmitter and receivers, indicators, data loggers and controllers. If you have an application where you require more than what an "off-the-shelf" product can provide, let us design and build you a custom IDEC PLC / HMI system to meet your needs. Well over 100 such systems have been provided.